Milanese-born sound artist Maurizio Bianchi has been making challenging, noise-inflected work since the late 1970s. Describing himself as a non-musician, he created proto-industrial musique concrète collages and sound manipulations in a series of cassette releases issued between 1979 and 1983, when he suddenly stopped making music in the wake of a religious conversion. After a fourteen year hiatus he began again in 1998 and is once again creating sound art, sometimes by revisiting and reworking early material as he does on this recording. The first two tracks, two untitled works of approximately seventeen and eighteen minutes each, are reissued from a cassette originally released in Japan in 1980. Both were created on a KORG MS20, a semi-modular monophonic synthesizer. Untitled A 1980 is a pulsing, industrially-tincted work containing apparently randomly placed pitches and glissandi whose tones sound as if received through radio static. Untitled B 1980 is built around an oscillating buzz that seems something like the product of the chance encounter of a jaw harp and a ring modulator on a mixing table. The remaining four tracks are reworkings of the 1980 recordings, done in 2013. 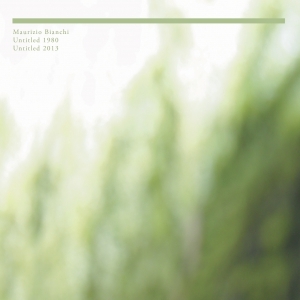 The juxtaposition of the originals with these recastings is a revealing testament to Bianchi’s ongoing commitment to working with sound, his periodic withdrawals from music notwithstanding. To the extent that he takes his own work as source material, the new pieces represent a kind of self-commentary embedded in a peculiarly reflexive form of musique concrète. As such, these new works manage to retain the salient features of the originals while rephrasing them in a more contemporary electronic vocabulary deriving primarily from drone. The anti-melodies of Untitled A 1980, for example, are recognizable under the manipulations Bianchi subjects them to in two of the new compositions. But even when the source recordings are obscured, something of a family resemblance between old and new can be perceived through the noise. Though inspired by the culture and rites of the Russian Orthodox Church, when Hierophany first opens its maw, it sounds like the fiery forges of Hell, or at least some hellish, rust belt steel mill. But perhaps Ghent´s Yannick Franck is on the same wavelength as 13th-century thinker Albertus Magnus (Catholic rather than Orthodox), who thought the music of the universe was not one of sweet proportions generated by the perfectly aligned spheres, but rather a man-made pursuit that served to purge the soul, open it to contemplation and bring it closer to illumination. Franck´s thirty-odd minute suite in three movements begins with “Mausoleum”, an appropriate place to ruminate on life after death, and continues with “The Dive” before “Dying Down”. The drone he generates only sporadically reveals some of its source material – we can hear people, not at their devotions, people going about their city business – as it shifts gradually from hellacious to spacious calm inducive to contemplation. Ultimately a whiff of plainchant floats by, before all heaven breaks loose like all the bells in Moscow and Petersburg combined and finally – almost cathartically – a choir. 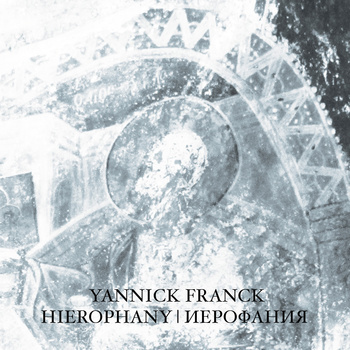 Though recorded in 2012 and released in early 2013, Hierophany is Franck´s latest solo offering. Seamless from start to finish, it captures a highpoint of his creativity while also fulfilling Albertus Magnus´ ancient criteria. It entices to closer listening while perfectly content at just being. A night of improvisation and experimental music with Architect/Enchantress and RTD3 at The Ridge Space. $10 – 15 Sliding scale at the door. sfSoundSalonSeries: A Tribute To Robert Ashley, presented by New York based baritone Thomas Buckner. David Leikam/zBug featuring Sheila Bosco | AFTERNOON / the concert series :: David Leikam/zBug is the premiere industrial jazz unit that presents structured improvisational compositional music sets, based on architecture. Drawing from her experience in Fluxus and religious ceremonies, Amy Foote curates and performs a concert ritual of Flux events and chance based refrains, culminating in a sermon: John Cage’s Lecture on Nothing. This is the first performance in Miss Foote’s Human Works series and is curated in part by SF based composer, Danny Clay. Please bring your own mug for various communal offerings throughout the performance. Project TenFourteen: Concert #4 – The final Project Ten Fourteen concert presents the World Premiere of Koji Nakano’s, Time Song V: Mandala; Lei Liang’s Luminous, with featured guest bassist Mark Dresser; a work by legendary Chinese composer Chou Wen-chung; the third World Premiere commissioned work by George Crumb, Xylophony, and a special performance of Edgard Varèse’s Ionisation by an all-star percussion ensemble! Join us to celebrate Sung Kim’s 7-month artist residency at Studio Grand. He will be joined by a group of great musicians and experimenters for an evening stunning art and performance. This will be the last day to see Sung’s work hung at Studio Grand. The second concert of this season’s Del Sol Quartet’s “Soundings” project features the soulful but fiery music of composer Huang Ruo. The evening focuses on the creative exploration of his quartet “Calligraffiti” in conjunction with new artwork by visual artist Kate Rannells. Read about this special concert format in a review of Soundings 2.1 in San Francisco Classical Voice. SF-based trombonist Weston Olencki will present [HEAVY MATTER], a program of radical solo and chamber works featuring world premieres by Peter Ablinger (Austria), Joan Arnau Pàmies (Catalonia), and Pablo Santiago Chin (Costa Rica), with North American premieres from Bernhard Lang (Austria) and Ann Cleare (Ireland). Olencki will also be joined by Eric Wubbels (piano), and Jessie Marino (cello). Live Recording Session – the trio will play two sets, starting at 8 pm. Marco Paoli will present his exhibition of 16 large black & white photographs from his book Silenzio and from his forthcoming publication Ethiopia. The artist shot these photos during his journeys around the world. For Marco Paoli the journey is a spiritual adventure where we look for something we have inside us, but most of the time we forget we have. This work is an exploration of photography as individual memory. At home in Faversham in Kent, Evan Parker has the physicality of a contented honey-bear and the joviality of a real-ale enthusiast. He lives, as artists should, in a whitewashed terraced cottage with the dimensions of a Cornish net loft, each subsequent stage stratified with shelves or records, CDs and books. Economics dictate that Parker, who operates at the upper levels of a music that’s often commercially unsustainable, plays all over the world.